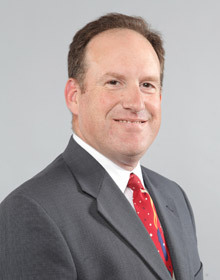 David Grech, MD is a founding member of First Coast Heart & Vascular Center. He came to Florida after a successful practice in Elyria, Ohio where he worked as a Cardiologist at the North Ohio Heart Center and as a clinical assistant professor of Cardiology for the Ohio University School of Osteopathic Medicine since 1993. Born in Detroit, Michigan Dr. Grech attended the University of Michigan for his Bachelor of Science and Medical Degree. He went on to serve his internship and residency at the prestigious Cleveland Clinic Foundation in Cleveland, Ohio. He completed his fellowship at Brown University. Dr. Grech is board certified in Internal Medicine and Cardiovascular Diseases and holds certificates in the subspecialties of nuclear cardiology and echocardiography. Dr. Grech’s and his wife are busy raising four children. He occasionally finds the time to continue his martial arts training, having achieved a second degree black belt in taekwondo.